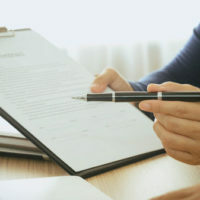 In some personal injury cases, it may make sense for an insurance company to issue an advance payment to the plaintiff. This may be appropriate in cases where liability is not in dispute and the main issue at trial is the amount of damages. However, there is a downside to advance payments that expose the insurance company to needless litigation. For example, when an insurance company provides an advance payment, the plaintiff accepts that payment, but the plaintiff is awarded additional damages at trial, is the advance payment credited to the total award? Typically, the answer is yes. Advance payments get credited against the total award since allowing plaintiffs to receive a “double recovery” of damages (i.e. the advance payment and the full amount of the award at trial) goes against public policy. Furthermore, advance payment credits also benefit insureds by promoting more efficient payment and resolution of claims. For example, there are some instances where an insurance company offers an advance payment and the plaintiff accepts opting not to go forward with an expensive and time-consuming trial. But there are other instances where a court misinterprets the law and allows a double recovery for a plaintiff. Take, for example, a West Virginia case captioned Doe v. Pak, No. 15-0013 (W.V. 2017). In this case, Pak was hurt in a hit-and-run automobile accident. She filed a claim through her uninsured motorist coverage. The insurance company offered Pak over $30,000 to settle the injury claim. She declined to accept the settlement offer and filed a lawsuit against the unknown driver. Before the trial began, the insurance carrier went forward with an advance payment of $30,628.15 to Pak. The insurance carrier included a letter stating that the advanced funds would be credited against any final award of damages. Pak accepted the advance payment and was awarded additional damages at trial. Here’s where things go off the rails – the Circuit Court decided not to credit the advance payment required the insurance carrier to pay prejudgment interest on the advanced amount. In an odd bit of logic, the Circuit Court reasoned that the advance payment could be construed as a “gift” thereby negating any claim of credit towards the final award amount. Fortunately, the insurance company immediately appealed and the Supreme Court of Appeals of West Virginia reversed the Circuit Court’s decision. The Supreme Court declared that an insurer that makes an advance payment to a plaintiff in a tort claim should have that amount credited against a subsequent judgment. This case is a prime example of why it is important to have defense counsel that will not give up once a trial is over. There are many battles to be fought, and won, in the higher courts. The Brownsville insurance defense attorneys at Colvin, Chaney, Saenz & Rodriguez, L.L.P., are ready to represent your company. Our law firm has successfully defended major insurance companies against an array of claims. We understand the tactics and techniques used by plaintiffs’ lawyers and are ready to take them on.